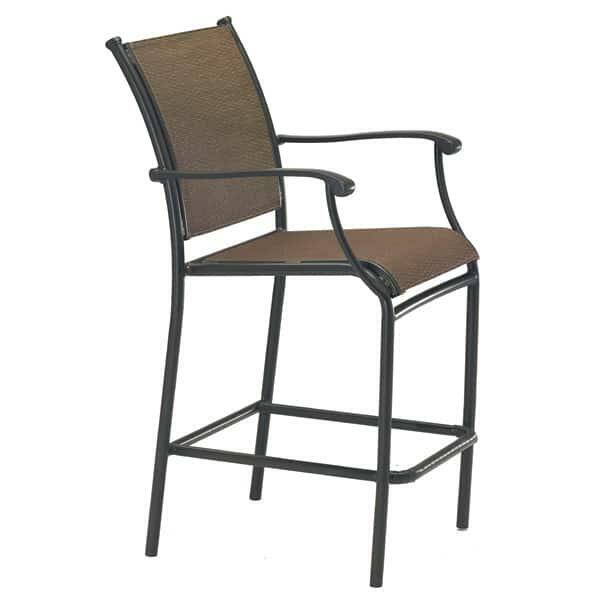 Tropitone Furniture - When Only The Best Will Do. Don't You Deserve It? 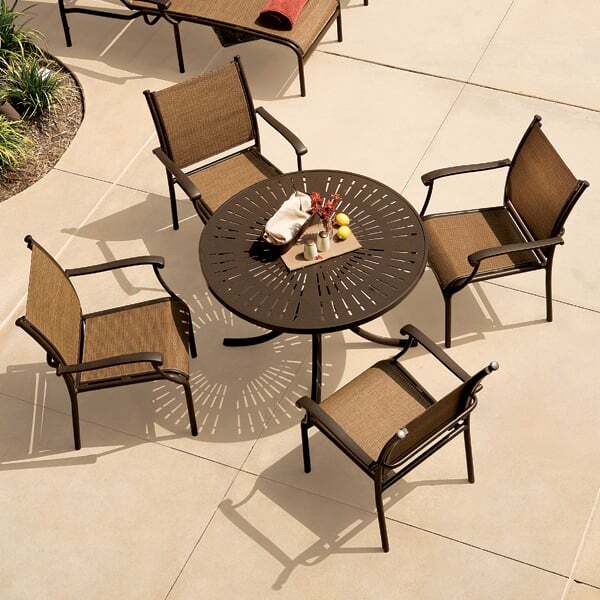 Tropitone created the Sorrento Relaxed Sling Dining Collection was inspired by the Peninsula City of Sorrento. 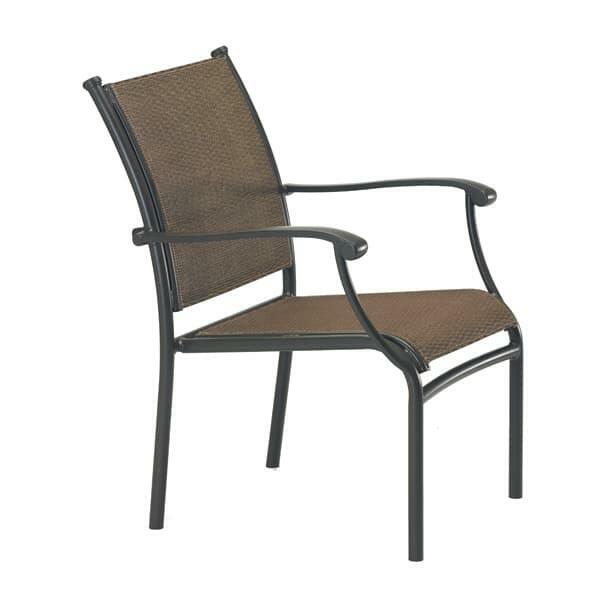 With graceful curves and distinguished styling, this patio set would add sophistication and class to any outdoor entertaining area. 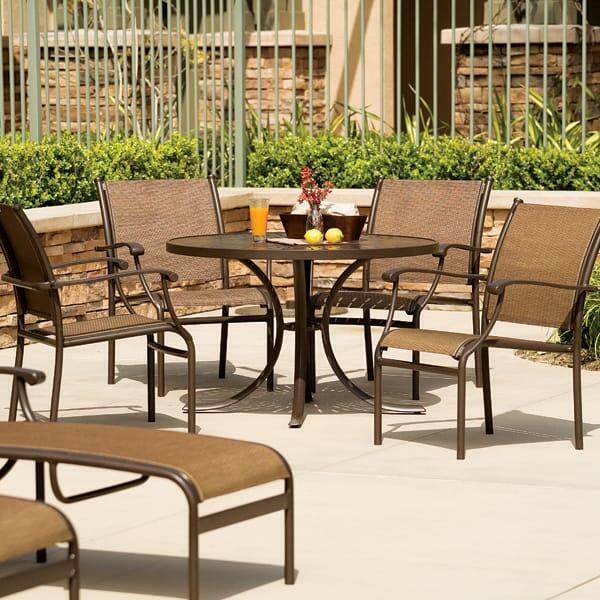 Using only the highest quality cast and extruded aluminum ensures that your furniture will stand the test of time with virtually zero maintenance. Tropitone is built to commercial engineering standards and can be found at numerous five start resorts and cruise ships. 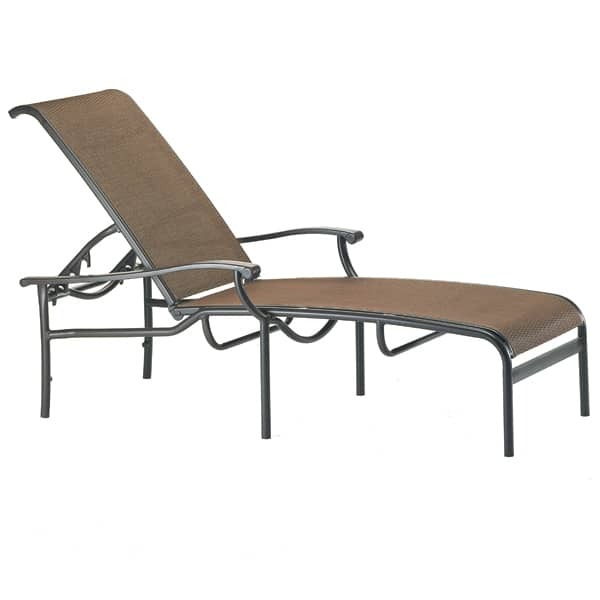 If you are looking for the highest quality sling patio furniture on the market, look no further. 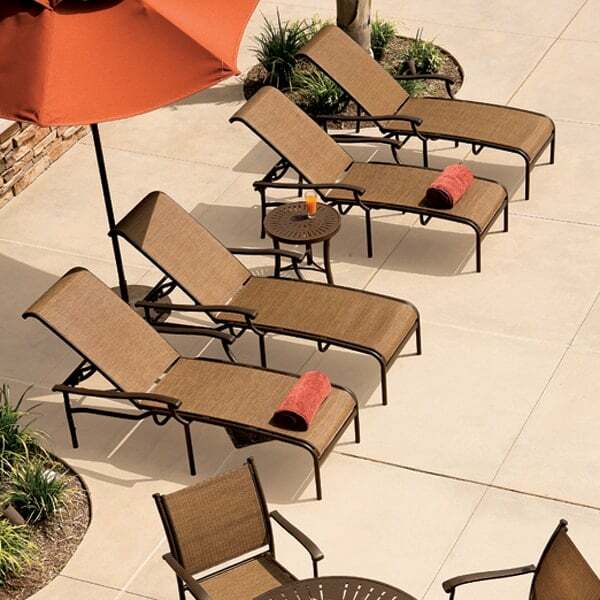 Simply choose your finish and fabric and you are ready to start enjoying the best that outdoor patio furniture has to offer. W 26.5" x D 27.5" x H 35.5" LBS 18 SEAT HEIGHT 17"
W 26.5" x D 29" x H 47" LBS 24 SEAT HEIGHT 29"
W 31" x D 79" x H 41.5" LBS 37 SEAT HEIGHT 16.5"